Today I’m welcoming Warren Cargal to the podcast! 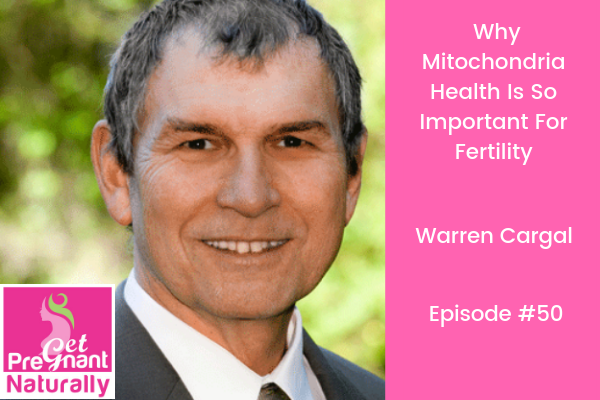 We’re digging into mitochondria and fertility. Warren’s interest is in the integration of classical Chinese medicine with modern scientific study and evidence-based protocols. He’s spent hundreds of post-graduate hours in Chinese herbology, nutrition, and endocrine education. Through work at his clinic, he recognized three fundamental factors that drive aging and the age related diseases of diabetes, cardiovascular disease, neurodegenerative disease, and cancer (shallow breathing, excessive consumption of calories and carbohydrates, and lack of exercise.) He is the author of, Your Mitochondria: Key to Health and Longevity, which is based on the latest research on herbal isolates and nutraceuticals, presents approaches for correcting these three factors to reverse age-related diseases. Check out his website here and download your free guide. We’re talking about mitochondria health. Mitochondria are the only source of energy for the egg. When we support the mitochondria we can improve egg quality. The exact steps we can take to improve mitochondria health. Which toxins negatively impact the mitochondria. Which supplements are recommended to support the mitochondria.